Take a minute to read this before you fund your account, because Power Profit Platform is a scam. In this Power Profit Platform review, we provide in-depth evidences to expose the truth that the scammers are trying to hide from you. Just like countless other binary trading software scams out there, Power Profit Platform scam used a highly exaggerated and fake headline to catch the users’ attention. 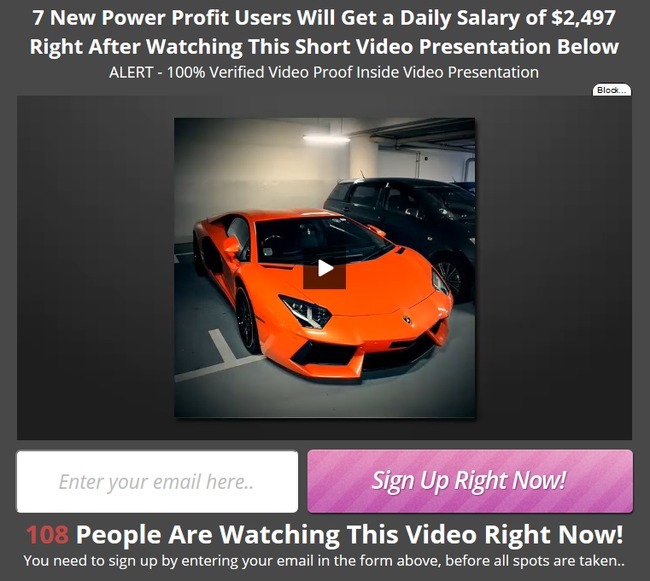 The mentioned daily profit of $2,497 is just a way to grab your eyeballs and give you an incentive to watch the entire sales video. It is in the sales video where the alleged owner of Power Profit Platform scam, George Serriton starts his brainwash session. George shows multiple screenshots of his million-dollars bank accounts (which can be easily photoshopped) and asks you to imagine a life where you have all the money you will ever need. There is a reason behind this – it is to feed your imaginations and get you hooked to the idea of becoming ultra-rich. Once you are hooked, it becomes much easier to convince you that signing up with Power Profit Platform scam will change your life forever. George told the story where he was stuck in a dead-end insurance job, until his friend who works in a binary options broker helped him make millions of dollars in his trading account by erasing his losing trades. Since then, he edited some automated traders found online and programmed them to erase the first 8 losing trades every single day. This way he was able to collect profits made from winning trades, and lose no money when he lost the trades because the losing trades are nullified. And now, he’s extending the same software to you, free of charge. It certainly sounds interesting, but unfortunately none of what George said is true. Let’s uncover the truths one by one. We’ve done a reverse Google search on George Serriton, the alleged owner of Power Profit Platform scam, and found that he doesn’t exist at all. 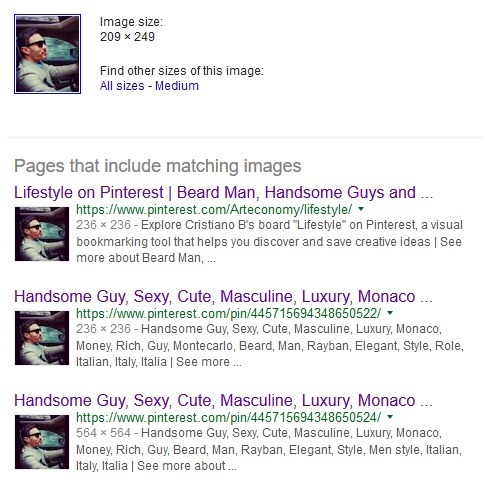 The photo used in the sales video can be found as a stock photo pinned on Pinterest, and it doesn’t exist anywhere else. There’s no sign of him on any other social networks – Facebook, Twitter, LinkedIn, Google+, etc. It’s very unlikely that a man worth more than 10 million dollars (according to sales video), and who has worked in an insurance company before leaving absolutely no signs in any of the popular social networks. Once you have “secured a spot” with Power Profit Platform, you’ll brought to the second sales page where you need to fill in your details and finalize your account. 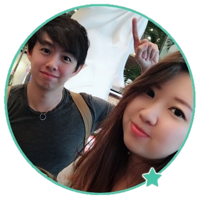 Below the form, you can find some testimonials from the members who claim that they’ve made profits with the platform. 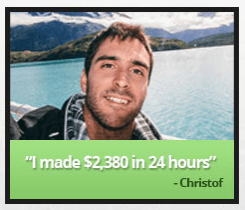 Christof is one such member, and he claimed that he has made $2,380 within 24 hours of joining Power Profit Platform. Having these testimonials definitely make Power Profit Platform scam seem more reliable. Therefore, I’ve decided to do a reverse search of their members on the internet. Unsurprisingly, we’ve once again found that the member photos used in Power Profit Platform scam are either stock photos or stolen from other websites. This particular “member” is not Christof, his real name is Alejandro and his photos can be bought here at Stocksy. Apart from these, we have a more conclusive evidence to prove that Power Profit Platform is a scam, but we’ll leave it to the later part of this review. Since this is a binary trading software scam, we want to explain how binary trading works to make sure everyone is on the same page. If you have experience trading binary options, you may skip this segment. Binary trading is basically trading stripped down to its simplest form. Unlike trading with traditional instruments such as the stock markets and Forex, with binary options, you only need to guess if the price of an asset will rise or fall after a short period of time, usually between 30 seconds to minutes. This is how it works – let’s say I think that the price of crude oil (or any other tradable assets) will rise after 3 minutes, and I bet $50 on a 3-minutes contract. When the time is up, and the price is indeed higher, I win a certain percentage of what I bet, usually between 60% to 80% ($30 to $40). But if I’m wrong, I lose the entire $50 that I bet. In practice, trading binary options is not that different from gambling. Much like guessing the outcome of a coin toss, there’s no way to predict the market movement within such a short period of time. In most cases, binary options traders rely on luck and gut feelings. It’s impossible to win consistently. Even if you manage a 50% win rate, you’ll still lose money due to the uneven winning vs losing payout. The game simply works against you. The difference in payout is how binary options brokers make big money off the traders. With that being said, there’s no way a broker would let its staffs nullify any losing trades, because it is essentially taking profits away from the company. George was just telling you lies when he said the broker’s CEO doesn’t care about his friend nullifying his lost trades. We do not recommend binary options if you want to generate serious income online. It’s simply one of the worst way to try and make money online. There are better alternatives out there that are much more promising than trying to gamble your way to wealth. Despite promising you guaranteed profits with their fully automated software, the scammers behind Power Profit Platform scam are saying otherwise in their disclaimer. To verify the authenticity of what is quoted here, you can find the document at the bottom of their sales page at powerprofitplatform.com, under “risk disclaimer”. Due to the high risk nature of trading, “Power Profit Platform” explicitly does not make any express or implied warranties or guarantees that user will make any profit or that user will not lose any or all deposited investment funds. Despite promising you guaranteed profits by nullifying losing trades in the sales materials, Power Profit Platform scam admits that they do not guarantee any profit to user, and it is very likely to lose all deposited funds. Again, Power Profit Platform scam agrees that trading binary options is extremely risky, and you should only use their software if you are able to stomach the loss of your entire investments. Despite promoting the software as fully automated and newbie friendly, somehow Power Profit Platform is only suitable for investors who have the knowledge to understand binary trading and its underlying assets. It is obvious that the scammers behind Power Profit Platform scam are trying to escape the blatant lies and promises they have told you in the sales materials. If Power Profit Platform scam wanted to be upfront about the risks of trading binary options using their software, they would’ve told you in the sales materials. Never once did the scammers mention about trading risks in their sales materials. If you decide to sign up for Power Profit Platform, you’ll have to register for a broker account through their sales page (which is an affiliate link). The scammers will earn a sum of referral fees as soon as you deposit into the account. I was assigned to 365binaryoption, an affiliated broker with Power Profit Platform. The minimum deposit with this broker is $250. Even if you already have an account with their recommended broker, you have to register for a new one using a different email address. This is because the scammers behind Power Profit Platform cannot earn their referral fees unless you sign up for a trading account through their affiliate link. Is Power Profit Platform a Scam? YES, POWER PROFIT PLATFORM IS A SCAM. As we’ve said in the review earlier, we don’t recommend binary options trading as a way to make money online, at all. It’s not that different from gambling, and using an automated trading software is no different. You are essentially putting your hopes and entire investment in a piece of software that gambles on your behalf.